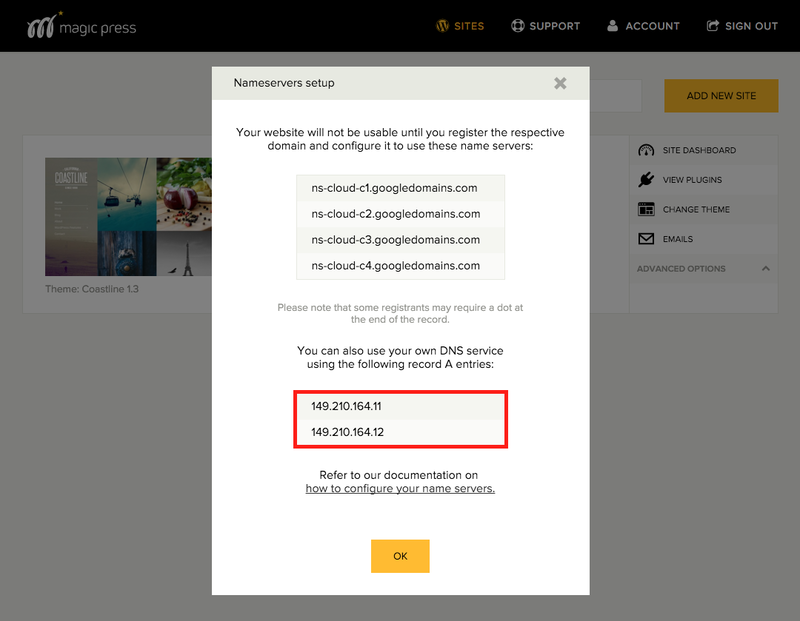 Then, you’ll need to visit your domain registrar, in this case Gandi, and perform the following steps. Begin by logging into your domain’s control panel with the owner, administrative, or technical Gandi handle. 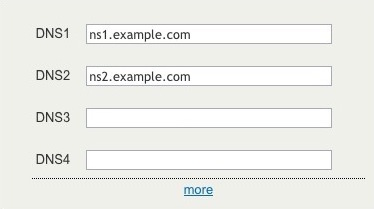 Access the domain’s control panel by selecting the “Services” tab, then the “Domains” tab below. Click on the domain name from the list of domain names. 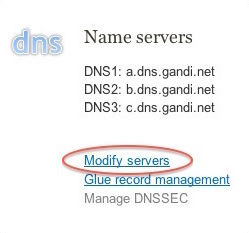 Click on the link that says “Modify Servers”. 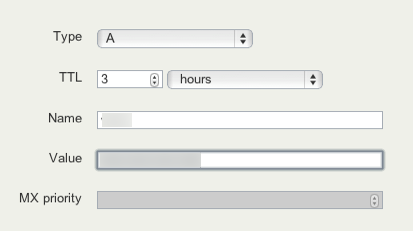 This will bring up the page where you can fill out the name server fields with the ones provided in the MagicPress panel shown above. You can access the domain’s control panel by selecting the “Services” tab, then the “Domains” tab below. Look down to the “Zone files” area that is on the bottom right-hand side of the page.